With its insane quality/price ratio, Seedbox.fr definitely deserves its very good position in our ranking. 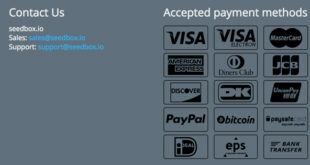 Indeed, it offers quite a few very interesting Seedboxes between 200Go and 3.000Go for very competitive prices. Furthermore, the connection speed is not 1Gb/s here…but 10Gb/s ! If there is something we always care about in our Seedbox reviews, it is the quality of the client support. Indeed, as you can see in our Seedbox.fr review, the first thing on which we focus each time is the quality of the client support. Having a good client support is always very important. When you have to choose your Seedbox provider, looking at the availability of the client support is something you should always do. Indeed, if you don’t, you may one day end up with a problem and no one to solve it. Lucky you, it is not the case at all with Seedbox.fr. Indeed, the client support is very efficient even though it is not the fastest of all the providers we present in our ranking. 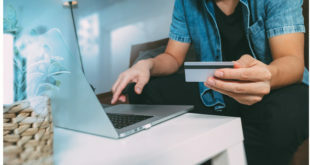 As a matter of fact, you may sometimes have to wait a few hours to get your answer if you use the online chat or the ticket system. The Hotline is very very fast, though. This is something you rarely find with a Seedbox provider and we have to admit that we really enjoyed it. Indeed, at any time of the day or the night, you can call the hotline to fix any of your problem. This very interesting solution completes the online chat and the ticket system that are sometimes a bit slower. 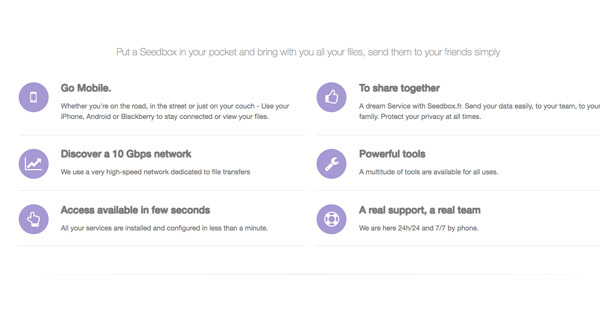 Now, the last thing we can advise you to do is to subscribe to a Free Seedbox. Because yes, Seedbox.fr offers a very good free Seedbox that you can use during 30 days. Then, you can either subscribe to a bigger plan (the Premium Seedboxes now enable you to use Plex with your Seedbox which is, according to us, a huge advantage) or to try an other Seedbox Provider like RapidSeedbox, Seedbox.io,… It is totally free of any commitment so you won’t have to pay anything or to give your payment details. Previous Client Support : does RapidSeedbox offers the best on the market ? 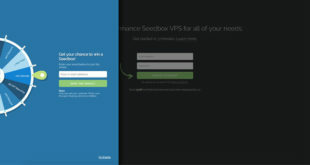 Next How is the client support with Seedbox.io ?